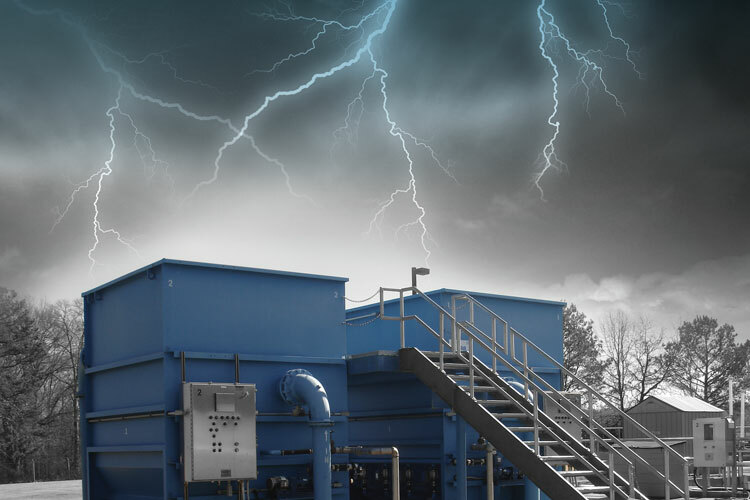 The AquaStorm cloth media filtration system is designed as an economical and efficient solution for the treatment of wet weather applications. 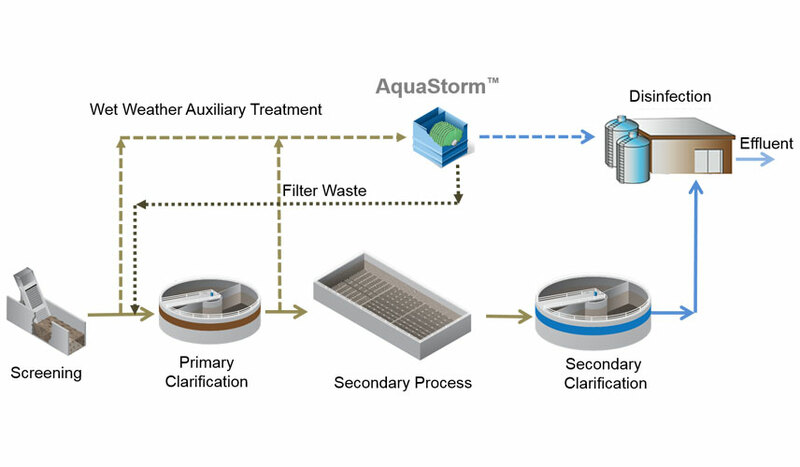 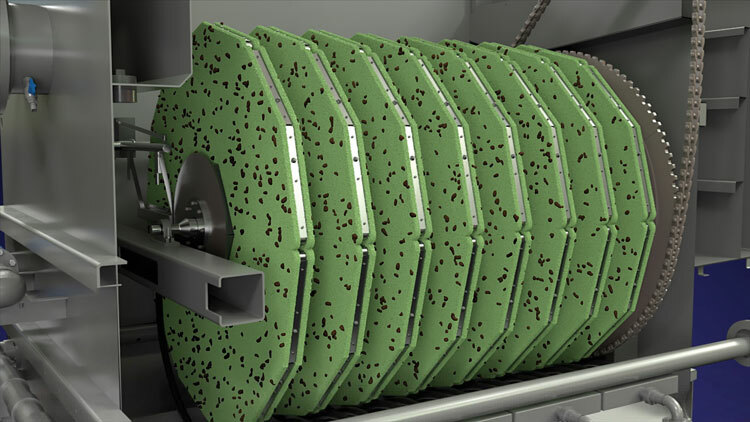 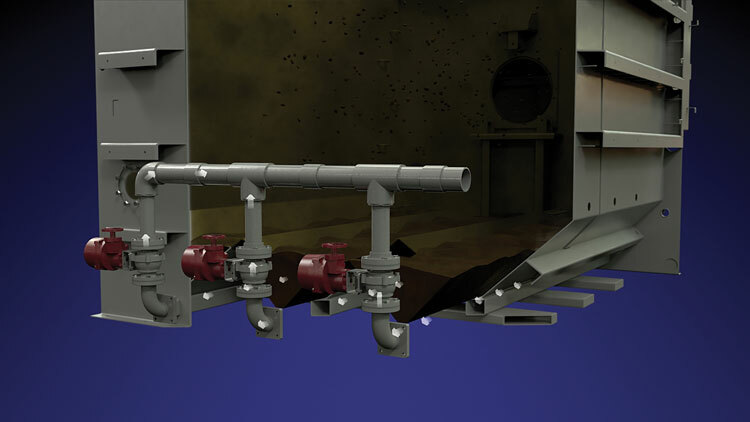 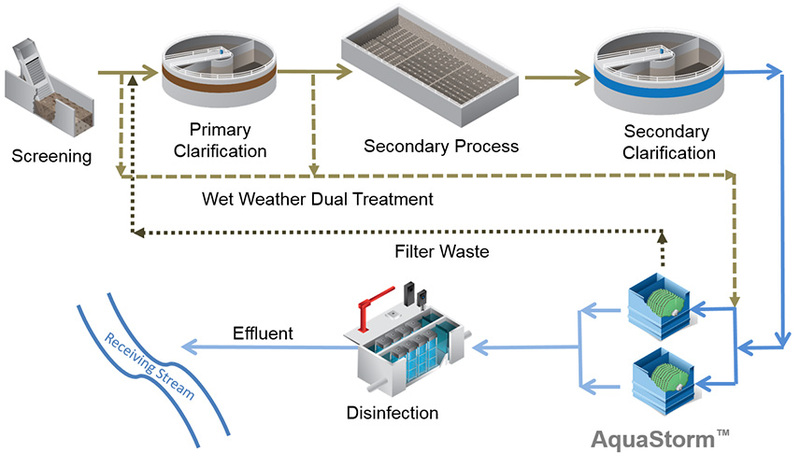 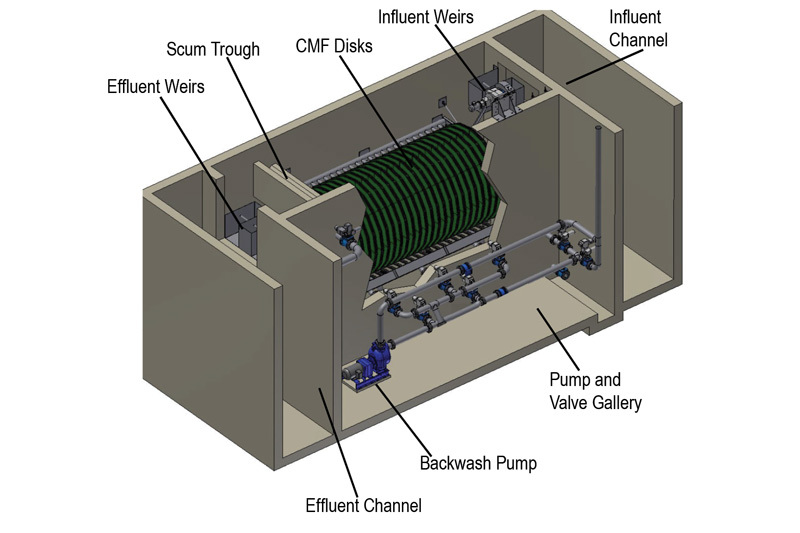 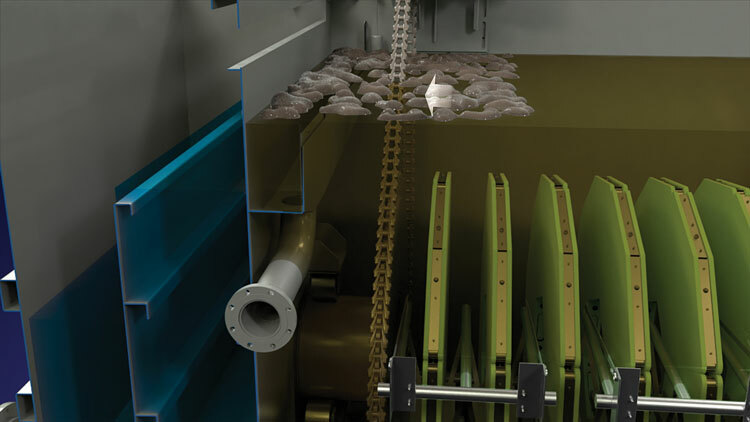 This system utilizes a disk configuration and the exclusive OptiFiber PF-14® pile cloth filtration media to effectively filter high solids waste streams with and without the use of chemicals as determined necessary for application specific water quality. 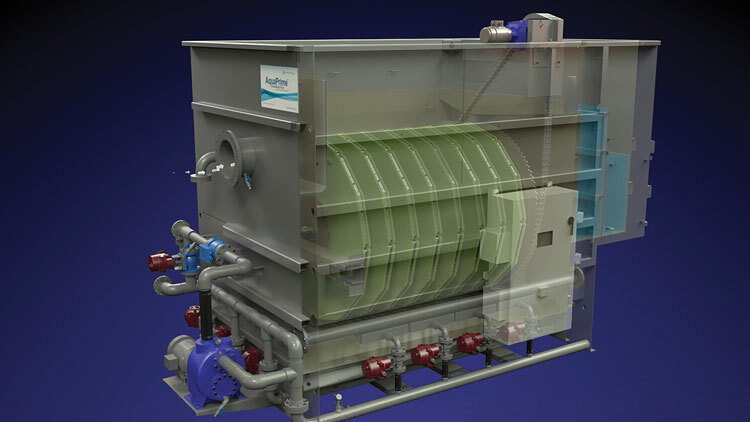 This system is ideal for wet weather applications due to its proven removal efficiencies and high quality effluent, even under varying influent conditions.